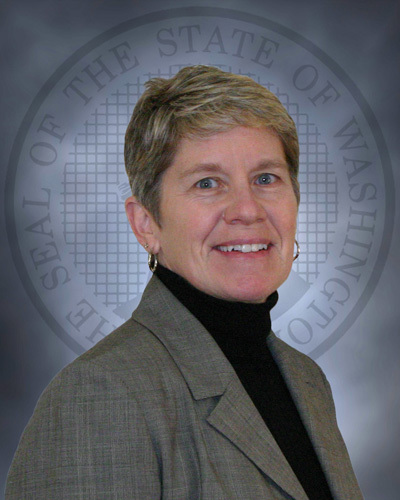 TUMWATER – Secretary Stephen Sinclair has named Julie Martin as the new deputy secretary of the Washington Department of Corrections, effectively immediately. Martin has most recently served the agency as the assistant secretary for administrative operations and has served as the interim deputy secretary since Jody Becker departed on March 16 to become the deputy secretary of the new Department of Children, Youth, and Families. Martin joined the Department of Corrections in August 2014 as the director of lean principles and process improvement. She has been influential in the agency-wide adoption of lean practices and strategic planning, as evidenced by her leadership with Results DOC, seven-step problem-solving and successful lean projects. She promoted to assistant secretary for administrative operations in November 2015. Martin’s work has been impactful in providing services that support the continued business operations of the agency, including risk management, financial services, budget, litigation, records, information technology, capital programs and internal audits. Before joining Corrections, Martin served at the Illinois-based Northstar Lottery Group as senior director of sales and promotions, where she successfully managed the recruitment of over 2,000 new retailer accounts, increased same-store sales, and implemented employee development programs. Prior to her work with Northstar, Martin served as deputy director of Washington’s Lottery from 2005-2011. While there, she oversaw development of the operational and sales budget and worked with the Legislature and staff on policy issues. Martin has a Bachelor of Arts degree from City University of Seattle with an emphasis on business and marketing, and a graduate degree in public administration from the University Of Washington Evans School Of Public Policy and Governance.